If you want to push back on Pinktober and make sure money raised for breast cancer goes to meaningful change, ask your friends and family to donate to your “Don’t Pink For Me” fundraising page. Breast Cancer Action never takes corporate funding from any company that profits from or contributes to breast cancer. That’s why we count on you, our community, to help fund our work. 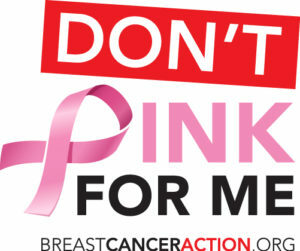 Don’t Pink For Me is an online fundraising platform designed for you. Use it to spread the word about what Breast Cancer Action is doing to address and end the breast cancer epidemic, and help fund our important work. With Pinktober looming, now is a great time to start your own campaign. You can personalize your fundraiser to tell your story, ask for pledges for a community bike ride or “Turkey Trot,” or commemorate a special date and ask for a donation in your honor. Get creative and do what feels meaningful to you. We are here to support you. If you have questions or want to discuss an idea, please don’t hesitate to contact me at lpal@bcaction.org. Give us a jump start on our 2017 Think Before You Pink® campaign by fundraising to support our work with your Don’t Pink For Me page today! Thanks for all you do to support Breast Cancer Action and for asking your friends Don’t Pink For Me! THis has 2017 instead of 2018 on it??? just wondering why the year is wrong on here. Thanks for your comment, Leslie. This post is from last September, which is why it references our 2017 campaign. Of course, you’re welcome to start a Don’t Pink For Me page in support of this year’s 2018 Think Before You Pink campaign, too. 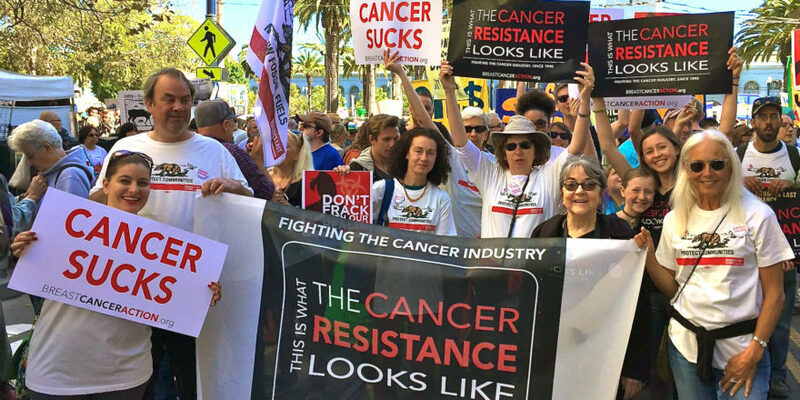 If you have more questions, you can email us at info@bcaction.org. Thanks!